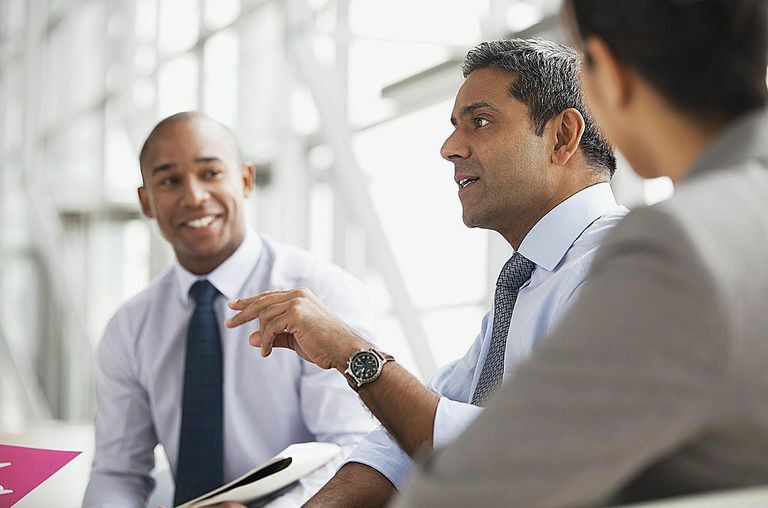 Collaboration, the ability to work together especially in business is raising key concerns for organizations taking on new approaches to improve performance and outcomes. Because leaders are looking for positive signs that acquiring collaboration tools will impact the bottom line, an organization may also need to consider its communication and collaboration practices. According to research and best practices, the combination of several factors may help steer collaboration to achieve business results, through empowerment, culture, and technology. Here are practical examples of each of these factors that are causing collaboration to work in business. Empowerment is a form of approval for individuals and teams to make decisions. Starting with executive collaboration, key leaders of your organization may need to support shared goals for empowering people if they don’t already, through communication and collaboration. The reality of collaboration for leadership is through empowerment. By embracing a model of operational coordination across teams and departments, collaboration can basically drive motivation and engagement. In Harvard Business Review’s Aligning Strategy with Technology, the chapter “Empowered” dives into an example of empowered sales teams to develop sales solutions using video at Black & Decker. Video as a communication form is extremely popular. Because of the complexity of Black & Decker’s many different products, the sales staff is able to document challenges in the field and quickly communicate how power tools are used on job sites. As the authors Josh Bernoff and Ted Schadler pointed out, these useful bits of information also benefit senior management, corporate marketing, and public relations. Bernoff and Schadler use the phrase “highly empowered and resourceful operatives” – dubbed HEROs as characteristic of empowered teams like this example at Black & Decker. In fact, the authors’ research study shows a high proportion of information workers, by industry and job type, especially marketing & sales in technical products and services that are empowered to create similar customer solutions. The collaborative culture of an organization stems from its’ shared beliefs, values, and business practices. Author and business consultant, Evan Rosen says collaboration is about creating value. In Bloomberg Businessweek, Evan Rosen emphasizes every worker contributes knowledge to the business. Using an example at Dow Chemical, he writes, “The day’s sales and inventory numbers are shared with everybody in the company, including the people doing the heaving lifting on the front lines. Dow acknowledges that people will do a better job when they know their actions contribute or detract from business results." Taking a step further, former CEO of Campbell Soup, Doug Conant, is famous for handwritten notes to employees celebrating their contributions. Recognition through these and other high-value communication practices further strengthens a collaborative culture. Collaboration tools essentially provide a technological framework to enable people and groups to work together. But adding new collaboration tools into the enterprise does not change things overnight. Where does an organization begin to design a technological framework? A gap analysis of workflows is often necessary and can help in redesigning processes. Furthermore, an organization’s specific data, based on activity in the organizational network, including sales, customer services, and support, product development, and even external resources, can be collected, analyzed, and better routed to teams. This social intelligence can help everyone be informed. Tony Zingale, CEO, of Jive Software ‘sees change the way work gets done’ - referring to the communication and interactivity of social software like Jive. And reports are showing cost efficiencies, speed to market, and greater pool of ideas and innovation through collaboration, which are passed on to the customer through cost savings and better products.